We have been deploying Software & Services for 10 years to over 50,000 users across the UK, Europe & The United States. - Feedback from over 200,000 in-field projects & work programmes utilising AcumenMobile device software. AcumenMobile systems and processes are accrediated to ISO 9001 standards. Acumen are proud to utilise ISO 9001 throughout all software engagements, design, delivery and testing. AcumenMobile systems and IT services are accrediated to ISO 27001 Data Security standards. AcumenMobile systems and services are accrediated to ISO 14001 Environmental standards. 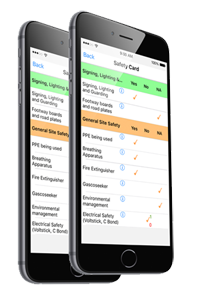 AcumenMobile systems and IT services are accrediated to ISO 18001 Health & Safety standards.